Scroll Down to start Shopping. 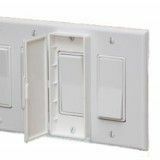 Single Despard Switch Plates In One-Two-Three switch combinations Despard switch plates are available in single sizes and in one switch or receptacle, two switch or receptacle, and three switch or receptacle combinations. They are available in the many finishes and usually are all in stock ready for delivery. The Despard switch was a toggle that turned on horizontally instead of vertically but it is smaller than the standard toggle switch and don't confuse this with a duplex opening. This was a switch that was very popular in the 40’ and 50’s and was unique because you could fit up to three switches in a very tight space. Includes matching screws. 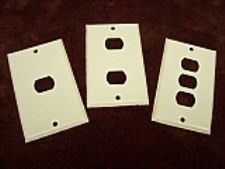 All of our Despard switchplates are a standard size 2 3/4 in. wide by 4 1/2 in. 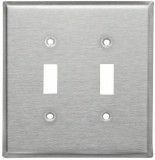 tall, unlike our other designer switchplates which are a mid-sized part. 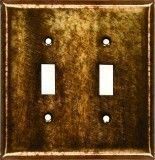 They are available in a single switch, double switch, or triple switch and in the following finishes: Oiled Rubbed Bronze, White, Ivory, Solid Brass, Black, Brushed Brass, Stainless Steel, and Shiny Chrome. 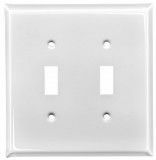 Coming soon: Double gang Despard in 3, 4, and 6 switch or receptacles. 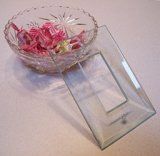 Click Here to order Telephone, CableTV/Satellite and Blank Inserts. 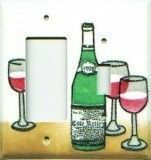 To read what a Despard switch plate is all about, Click Here.